Creation: Appeared July 1933 as a renumbering of VA 520. Ran generally as it does now, plus extended south with US 13 briefly, then headed west to the railroad crossing at Lecato. This is the only VA 175. 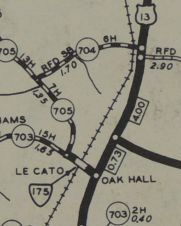 Adjustments: In Aug 1934 (CTB), VA 175 was extended south on Main St over SR 717 to about Peaceful Ln. 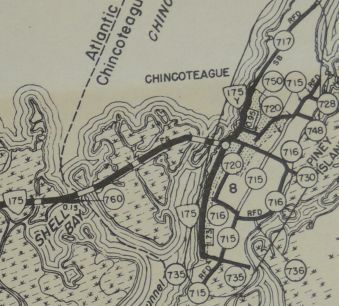 In Aug 1935 (CTB), VA 175 was extended south to Beebe Rd, then east on Beebe Rd to the then-SCL of Chincoteague (this is 0.20 miles west of Ridge Rd). 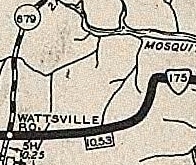 In June 1947 (CTB), VA 175 west was truncated to its current US 13 location, leaving behind SR 703 and the US 13 duplex. 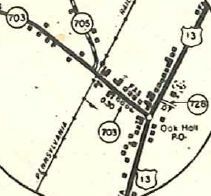 In May 1954 (CTB), VA 175 was rerouted to avoid the Wallops Station using its current loop around the south and east of the facility. This left behind some SR 798 and Fulton St on the NASA facility. VA 175 dipsy-do around the NASA facility. 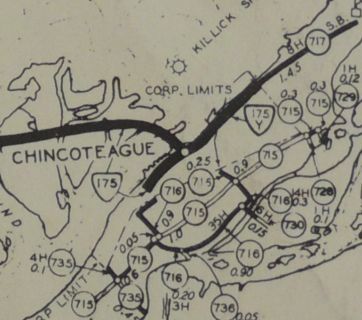 In June 1992 (CTB), VA 175 east was truncated to end at Main St just east of the bridge to Chincoteague. In 2010, a new bridge over Chincoteague Channel into Chincoteague opened, moving the eastern termius to the Main St/Maddox Blvd intersection. The old 1940 bridge was demolished in 2011. Improvements: Fully paved upon designation; no multilane segments exist. Posting: Fully posted except not at its eastern end. As late as the mid-1990s there was a white border sign in Chincoteague routing you to the south to stay on 175 once on the island. Legislative names: John B. Whealton Memorial Causeway (entire route) since 3-15-44. 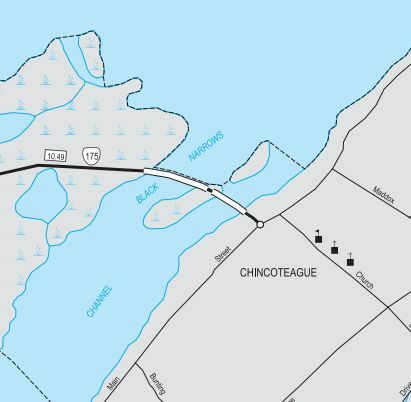 Comment: VA 175 has a long marsh causeway connecting Chincoteague to the mainland. The old bridge to Chincoteague Island was a fairly picturesque truss drawspan, but removing it eliminated direct access between Chincoteague Island and those that lived on Marsh Island. VDOT had to build a connector bridge from Marsh Island to the new VA 175 bridge as part of the overall project. This stub segment is now OSR 175.